After decades of denial, Europe’s leaders may have to face the grim truth about the world’s most sophisticated terror organization. The legendary World War I British intelligence officer T.E. Lawrence—now forever known as Lawrence of Arabia—once described his commander, Brigadier-General Gilbert Clayton, as being “like water, or permeating oil, soaking silently and insistently through everything.” Lawrence’s words offer a remarkably apt description of the Iranian-backed terrorist organization Hezbollah. Since its founding in 1982 under the guise of a Shi’ite religious party, Hezbollah has slowly expanded into a sophisticated international militia, a global criminal enterprise, an exporter of Iran’s revolutionary Islamism and terror, and the de facto government of southern Lebanon, if not the dominant force in the country itself. Hezbollah, described by many as “the A-Team of terrorists,” has been back in the news recently after a series of terror plots on European soil, including a major attack in Bulgaria last summer. This has triggered a debate within the European Union over whether to add the organization to its list of terror groups. This would appear to be the obvious response, but for the EU, it would be a historic move. For most of the last three decades, Europe has pursued a policy toward the organization that can be more or less accurately described as appeasement. In exchange for an unspoken agreement not to commit terror attacks against its member states, the EU has looked the other way, allowing the group to organize, operate, and raise funds on the continent. There is something obviously problematic about a government suggesting that a terrorist organization is a terrorist organization only if it operates in its particular country. This is especially the case for the EU, which is a continent-size regional union that professes to symbolize and uphold the collective and highest ideals of liberal democracy. But if the Europeans have made something of a deal with the devil when it comes to Hezbollah, both sides have gotten something from the bargain. The Europeans bought a prolonged period of quiet and have mostly avoided scrutiny or condemnation. Hezbollah received a relatively free hand to operate. In recent months, however, a process has been set in motion that may force European leaders to change this status quo—and the consequences for Hezbollah could be enormous. Europe’s official policy of soft-pedaling Hezbollah emerged early in the organization’s history. Following a wave of Hezbollah attacks across Europe in the 1980s, Europe’s number one aim was to make them stop happening. The unspoken agreement struck between the two centered on legal recognition of Hezbollah’s presence—including fundraising—in Europe, in exchange for refraining from terrorism on European soil. Choosing to turn a blind eye to the fact that, while Hezbollah was not committing acts of terror, it was hardly a benign force in Europe, the EU compounded its sins and concentrated on more “positive” aspects of the organization: its social services, its romantic politics, its care for the children of militant Lebanese Shi’ites. Perhaps to justify the bargain it made, Europe’s transparent appeasement quietly became something more bizarre, fashioning a kind of dreamlike Hezbollah for itself—a misunderstood but somewhat admirable organization that helped stabilize Lebanon and ensure social justice—quite unlike the terrorist entity that has killed more Americans than any group except Al Qaeda. In particular, Europe has become infatuated with Hezbollah’s social welfare programs. “They are quite professional in this,” The New York Times quotes researcher Stephan Rosiny saying, “and this is something some Western donors are admitting that has a positive impression on some Western politicians.” This, says the Times, “provides a rationale for the group’s charitable networks” in Europe, which are essentially left alone by both police and intelligence services, giving authorities little means of knowing where the funds are actually going. The results have been obvious and public. The Times article noted, for example, that more than 1,000 people marched in Germany during an August 2012 “Jerusalem Day” event, “a protest against Israeli control of that city,” including many open Hezbollah supporters. In America, a terrorist group putting hundreds of supporters on the streets would ring a few alarm bells. Yet European authorities registered little, if any, concern. In the real-life fantasy mind of complacent Europeans, Hezbollah was morphed into just another activist organization on a continent that is littered with such groups. The Iranian proxy’s evolving legitimacy even metastasized to the European political establishment. A February 2004 Beirut conference, for example, was jointly organized and funded by Hezbollah and Germany’s Friedrich Ebert Stiftung (FES), the primary think tank of Germany’s ruling political party at the time, the Social Democrats. It was called the “Beirut International Conference on the Islamic World and Europe: From Dialogue Towards Understanding.” According to the Jerusalem-based watchdog NGO Monitor, “The conference featured speakers from Hezbollah and Hamas, and the agenda included an item on ‘occupation and resistance,’” a well worn euphemism for violence and the murder of innocents perpetrated by terrorists. 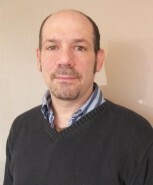 Bill Rammell, a British Foreign Ministry official, summed up the general European view toward Hezbollah in 2009, saying, “We will look to have further discussions, and our overriding objective within that is to press Hezbollah to play a more constructive role, particularly to move away from violence.” Europe, in short, has convinced itself that its embrace of Hezbollah is ultimately a good thing, and will eventually help make it a more peaceful organization. Out of a combination of fear, wishful thinking, and misguided political realism, Europe has developed a view of Hezbollah designed to justify its inaction. Put simply, Europe’s rose-colored view of the terrorist organization has become a custodian of the status quo. The lone exception to this is the Netherlands, which classified Hezbollah as a terrorist group in 2004. The Hezbollah myth remained intact as late as July of last year. But the picture may now be changing, mainly because Hezbollah seems to have abrogated its tacit deal with Europe by resuming terrorist attacks on the continent. In particular, the bombing of an Israeli tour bus in the Bulgarian resort town of Burgas seems to have come as a shock to some European leaders. 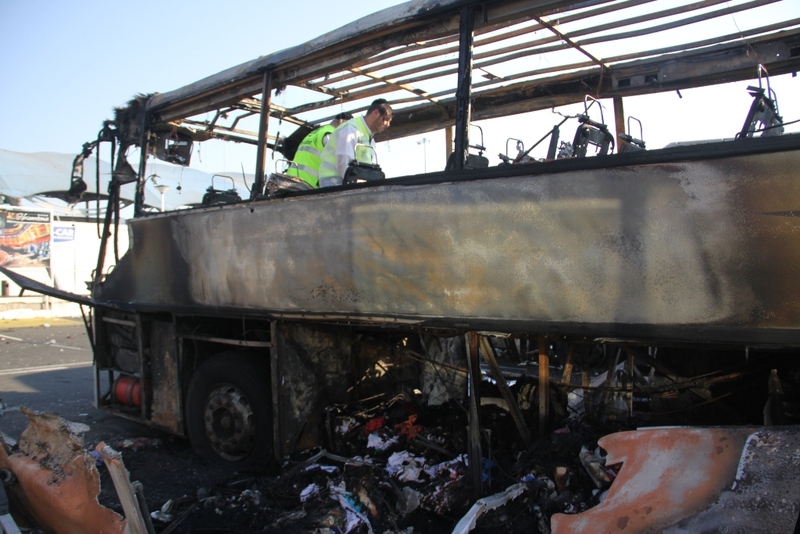 The attack, killing five Israelis and their Bulgarian bus driver and wounding 32 others, was swiftly and credibly attributed by U.S. and Israeli intelligence sources to a joint Iran-Hezbollah operation. Hezbollah is terrorizing Europe. Will EU leaders notice? Other evidence has also been mounting against Hezbollah operations in Europe. Bulgaria’s then-interior minister Tsvetan Tsvetanov confirmed in February that two of the suspected Burgas bombers “were members of the militant wing of Hezbollah.” Investigators, he added, had also uncovered information “showing the financing and connection between Hezbollah and the two suspects.” In January 2013, a Washington Institute for Near East Policy report entitled “Hezbollah and the Qods Force in Iran’s Shadow War with the West” indicated that “within days after the explosion in Burgas—while the investigation into the bombing and the search for accomplices was at its height—Bulgarian authorities reportedly caught a Qods Force operative scoping out a synagogue in the country’s capital.” Further highlighting the vulnerability of Eastern Europe as an easy entry point for Hezbollah and Iranian regime operatives, a well-placed source in Sofia told me in early April that an Iranian agent engaged in surveillance of the Chabad Jewish center in the Bulgarian capital. The question, then, is how much longer will Europe hold up its end of the devil’s deal with Hezbollah? There have been some signs that practical action against Hezbollah may be on the way. A spokesman for Germany’s interior minister Hans-Peter Friedrich told me in mid-April that Germany’s decision to ban Hezbollah would be contingent on the evidence culled from the Bulgarian and Cypriot cases. France and Germany, the two most influential European Union countries, have shown other indications that they are at least willing to put Hezbollah’s “military wing” on the EU terror list, if not the organization as a whole. And Britain has already done so, with Foreign Minister William Hague urging the EU to follow suit. 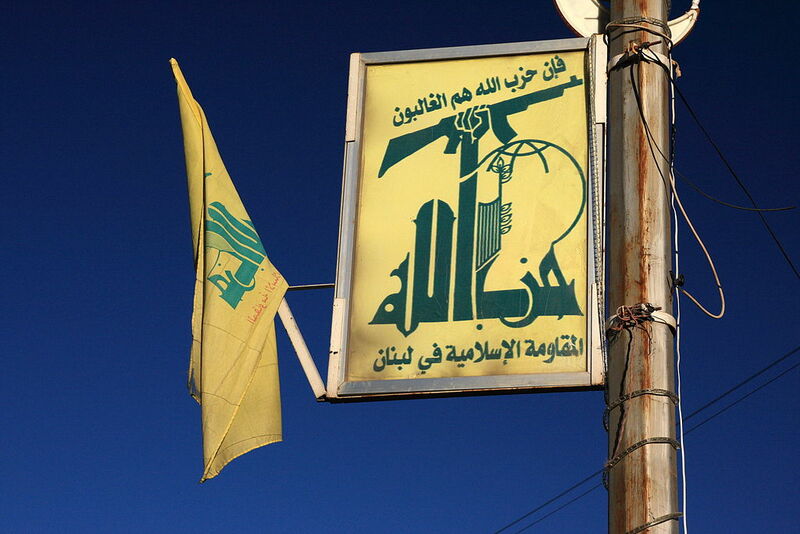 Hezbollah flag and logo in Baalbek, Lebanon. Maybe the gun gave them away? Such a compromise designation is no doubt tempting for France and Germany, but it would be largely meaningless. While it is a step in the right direction, it would still allow Hezbollah’s political and financial operations in Europe to continue, thus essentially preserving the status quo. 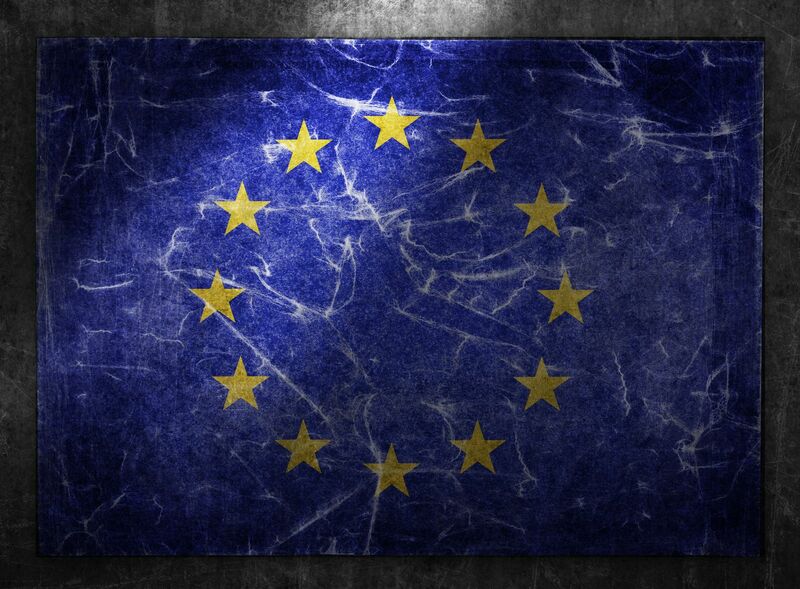 Precisely for this reason, the governments of Israel, Canada, the United States, and the Netherlands have rejected any EU move that seeks to create a distinction between the group’s militant, financial, and political activities. And while Germany’s government remains vague about its position toward Hezbollah, one member of parliament has repeatedly called for a full-blown ban. Philipp Missfelder, a member of the Bundestag and foreign policy spokesman for German Chancellor Angela Merkel’s Christian Democratic Union, rejects the compromise of merely listing Hezbollah’s military wing. “The European Union must act now and use its instruments to classify Hezbollah as a terrorist organization,” declared Missfelder; he has also suggested that Germany take unilateral action, along the lines of the Netherlands, rejecting the separation between different branches of the organization. dry up the sources of finance, end moral, political and material support, stifle voices, whether they are the voices of the resistance or the voices which support the resistance, pressure states which protect the resistance in one way and another, and pressure the Lebanese state, Iran and Iraq, but especially the Lebanese state, in order to classify it as a state which supports terrorism. Yet despite the obvious benefits of publicly acknowledging Hezbollah’s terrorist nature, and its ongoing complicity in the death machine at work in Syria, EU leaders are still unenthusiastic at the prospect of doing so. The question is, why? The most obvious reason is fear. Put simply, Hezbollah’s use of terrorism has been remarkably successful at terrifying EU governments. They are deeply afraid of provoking retaliation against European targets. European officials are fairly open about this. Last November, for example, France’s Ambassador to Israel Christophe Bigot said that blacklisting Hezbollah could endanger the hundreds of French troops who serve as UN peacekeepers in southern Lebanon. Austria has expressed similar concerns about its own troops. Germany’s domestic intelligence agency, the Verfassungsschutz, has documented 950 Hezbollah members within its borders, many of whom could be activated should Hezbollah decide to retaliate against German targets. Though such concerns are not entirely irrational, it should be noted that the Dutch, the Americans, and the Canadians have yet to experience violent retaliation despite blacklisting Hezbollah in its entirety. Espousing such a seemingly altruistic position is rather convenient. It affords the Europeans the semblance of judicious sagacity, enabling them to skirt the issue altogether, regardless of the evidence. In reality, Hezbollah has thoroughly subverted the country and its citizens in virtually every aspect. Left unmolested, Hezbollah not only undermines Lebanon’s security, institutions, and political system, but is also on track to compromise its foreign relations, ruin its financial system, and destroy whatever remains of its social cohesion. Badran notes several reasons for this. First, Hezbollah “stands accused of the murder of former Prime Minister Rafiq Hariri” in a 2005 car bombing and “four of its commanders and operatives have been named as suspects.” Hezbollah is suspected of killing Hariri on behalf of Syrian intelligence. Hezbollah is also heavily involved in the Syrian civil war—where it is fighting on behalf of the ruling Assad regime—and threatens to spread that conflict to Lebanon itself. Sectarian violence has already been on the rise in Lebanon as a result of the war. There is also strong evidence that the organization is preparing for another war with Israel. Since its last conflict with the Jewish state ended in 2006, conservative estimates indicate that Hezbollah has amassed some 60,000 rockets aimed at northern Israel. Few things could threaten Lebanese stability more than another unnecessary war with Israel. Once upon a time, Europe’s tacit deal with Hezbollah might have made sense, if only on the most Machiavellian, pragmatic level. But now, it is difficult to see what possible benefit the EU derives from it. It has not stopped Hezbollah from resuming terrorism on the continent. It has undermined Europe’s moral and political standing in the world. 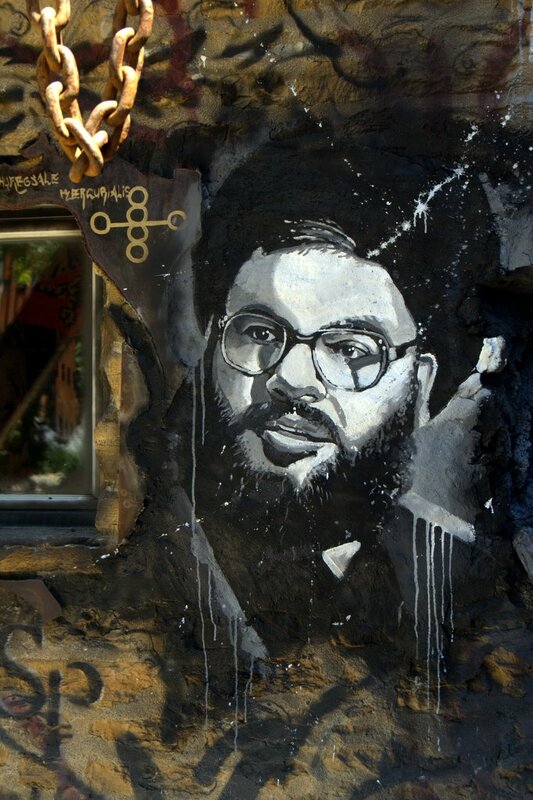 It has been of great economic benefit to Hezbollah, to the detriment of European criminal law. And it threatens to undermine the very stability of Lebanon and the greater Middle East that Europe so wants to preserve. At the same time, the EU’s failure to act strengthens Hezbollah precisely when the organization is unprecedentedly vulnerable. Hezbollah’s primary source of military support is Iran. The current civil war in Syria, where Hezbollah has intervened on the side of Bashar Assad, threatens to block the geographic link between Iran and Lebanon, making it much harder for Hezbollah to arm itself. But as long as the organization continues to receive economic support from its fundraising and criminal activities in the European Union, the organization will be able to reconstitute its military capabilities by other means. As a result, Hezbollah will continue to threaten Israeli and European citizens, defend the murderous Syrian regime, advance Iranian policy in the Middle East, and hold Lebanon hostage to its demands. The world currently has an opportunity to deal a major, perhaps mortal blow to Hezbollah, but it cannot do so without European help. The terror attack in Bulgaria and the foiled attempt in Cyprus should be all the evidence European leaders need to conclude that their relationship with Hezbollah is no longer in their best interests, if it ever was. The devil has already reneged. How long will it take—and what price will the world pay—before Europe acts?